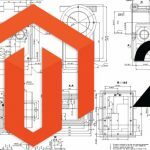 The release of Magento 2.3.0 revealed tons of revolutionary new improvements and features, but many more things are to be introduced soon. Although it is too early to talk about 2.4.0, we already have Magento 2.3.1. Below, you will discover the core nuances of the new platform version. Besides, the following article contains several essential tweets from recent Magento Live event organized in Australia that provided several clues on how the new update should look. The difference between Commerce and Open Source is not significant in this update. The only notable improvement introduced to Commerce users only is Page Builder. The global shipping coverage of Magento will be enhanced as well adding the DHL Express support. — Pablo S. Benitez (@centerax) 13 лютого 2019 р. Updates to existing integrations with Vertex, Amazon Pay, Dotmailer, and Klarna. — Aman Agarwal (@AmanAga31031991) 12 лютого 2019 р. We should get the Magento 2.3.1 update in March. According to the official Twitter account of the platform, the new version incorporates significant community contributions and brings new merchant and developer experience advancements. — Magento (@magento) 12 лютого 2019 р. The drag and drop page builder will help you build engaging content. From 2.3.1. It will be compatible with PWA. As for the PWA update, it will include full Venia B2C and B2B themes. GraphQL with the coverage of B2B APIs should be released with Magento 2.3.1 as well. The Magento Global Shipping coverage should also improve the life of merchants and customers worldwide with DHL Express, UPS, and FedEx. As for B2B improvements, they include B2B data import and export, advanced scalability, better performance, and more user-friendly admin. We should get all these and other features with the Magento 2.3.1 release somewhere in March. What else should we expect from the new version? Please, share your thoughts in comments. 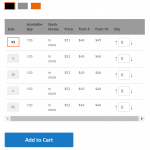 How to display configurable product options as matrix grid with mass quick order feature in Magento 2?